Client Finance helps your firm get paid on time and you will never need to hassle clients for payment of your invoices again. Smooth your client’s cash flow and help preserve their overdraft limits for trading. Our rates are very competitive and your clients will use our products over again. Professional Fee Funding for Accounting Firms. Client Finance’s Professional Fee Funding allows your firm to receive 100% of your fees fast, so you can continue adding value to your client’s businesses. We manage tailored instalment plans that your clients will appreciate, allowing you to increase your business and maintain your customer relationships. Professional Fees Funding for Legal Firms. If your clients need assistance with cash flow, then Client Finance has the solution. We provide funding for Insurance Premiums, allowing clients to pay in manageable instalments and giving them the peace of mind that their insurance is always up to date. Professional Fees Funding for Insurance Brokers. In most cases, we can approve client funding on the same day of the application. Your client selects their preferred repayment term between 3 and 12 months. 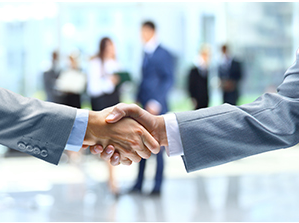 We provide professional fee and insurance premium funding for ABN holders. Let us manage the collection process saving your firm hours of wasted admin time. In most cases, Client Finance approves the funding on the same day of your request. Client Finance pays 100% of the invoice amount into your firm’s bank account after the client’s first instalment clears. We manage the entire repayment process allowing you to focus on your business and your clients.